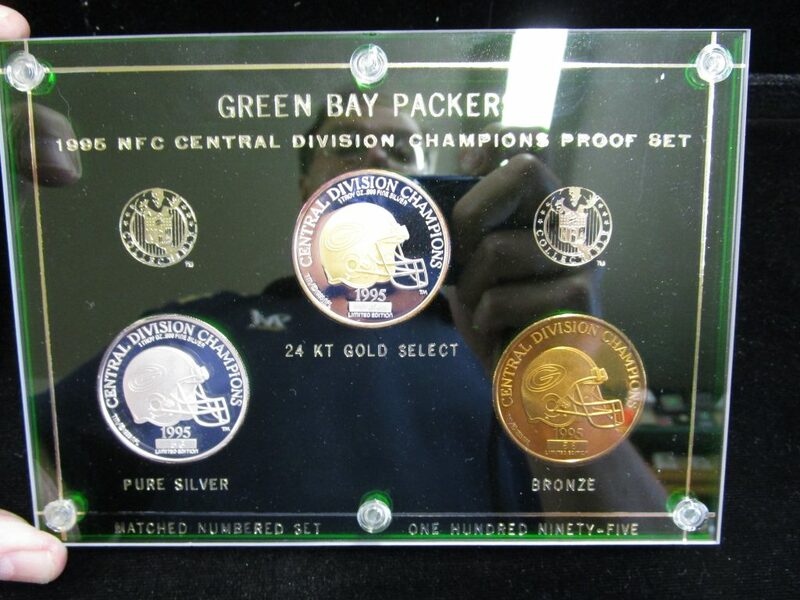 We are offering this Green Bay Packers 1995 NFC Central Division Champions 3 Coin Proof Set. 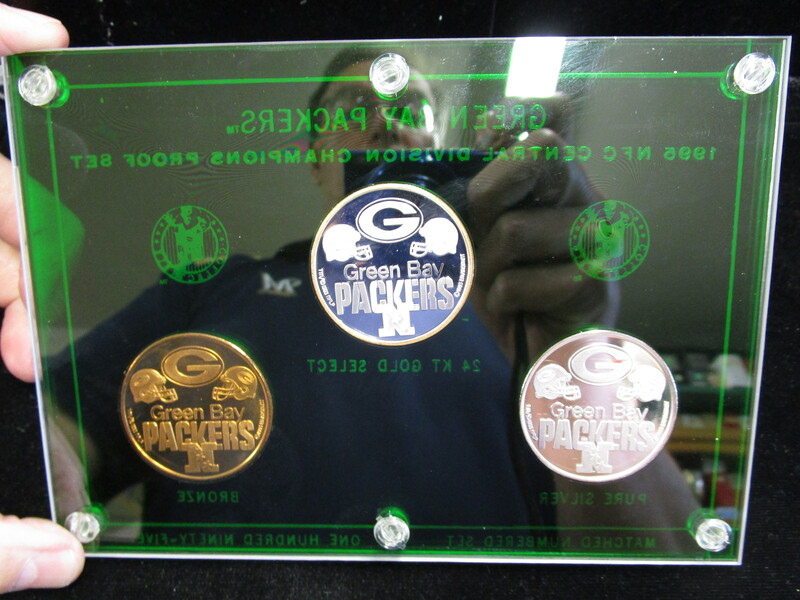 One coin is .999 Silver, One coin is .999 Silver with 24K Gold Highlites and the third coin is Solid Bronze. This is a Matched Number Set with all coins numbered 56/195. Set is in Mint Condition.